Kids who suffer from a nutritional deficit are 90 percent more likely to have fair or poor health, as opposed to those who are not lacking in nutrition. About 31 percent of kids in a nutritionally challenged environment are more likely to spend time in the hospital than those from a richer nutritional environment. Of those in a less nutrition-based home environment, 76 percent are more likely to experience problems related to cognition (learning), language development and behavioral issues. Nutrition is essentially the state of a well-balanced diet and food sources that contribute to the overall wellness of a child, physically, mentally and emotionally. When there are healthy food choices in the home, a child is more likely to succeed in school and flourish in social situations. A new term has arisen in recent years to describe those families who have some level of deficiency in the ability to supply ample nutritious foods: food insecurity. Those with food insecurity do not have a “regular and stable supply of nutritious food sources," according to the Urban Child Institute. While these people may be able to provide regular meals for their children, the lack of consistent, nutritious food can lead to varying degrees of deprivation in their overall nutritional health. Brain development occurs over time from birth to around 18 years, but the most important years are between ages one and five when the brain is still developing. During this time, it is essential that kids get the right combination of nutritious foods in order for them to achieve optimal brain development. This influences their academic progress in school and contributes to their overall health, behavioral issues and cognitive function. There has been extensive research into the effects of the regions of the brain and how they nutrition (or the lack of) affects them over time. 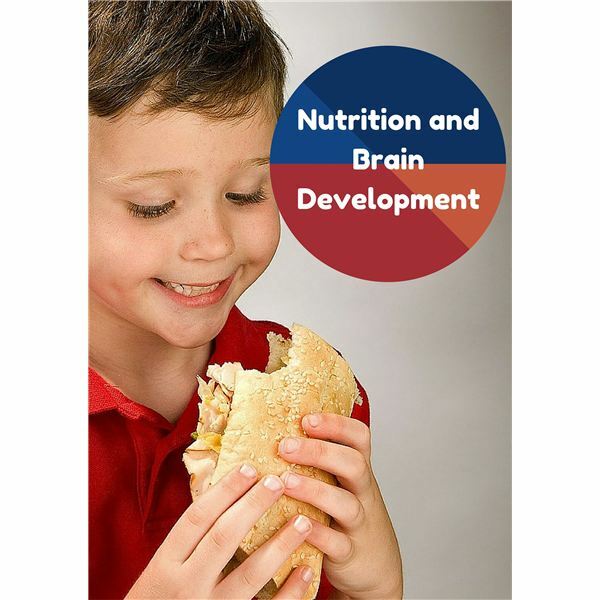 The American Journal of Clinical Nutrition confirms a direct correlation between brain development in young children and food deficiencies. Make sure your children are getting the daily requirements needed for optimal health and brain development. These include two to six ounces of protein; one to two cups of fruit; one to three cups of vegetables; two to four ounces of whole grains; and three cups of dairy. These amounts depend on each child’s age and gender. For specific guidelines, check out the USDA’s Choose My Plate website (see Resources). Nutrition is important at all ages in the development of bone, tissues and brain development. Kids ages one to five are most susceptible to deficits in these areas. If you are experiencing food insecurity or know of a family who is, you can contact your local school district. They can offer suggestions to help ensure that your child receives proper nutrition each day, such as local or government agencies or help planning weekly meals. Sometimes all it takes is better planning and effort to ensure that your child is getting everything they need to build strong bodies and minds for their future.